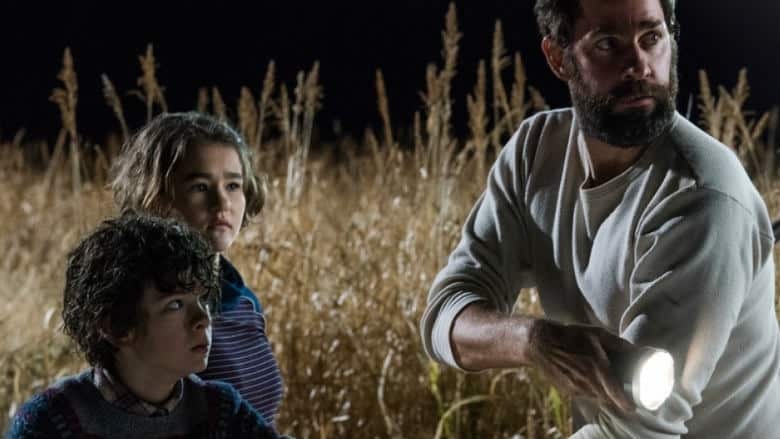 A Quiet Place 2 On the Way | Nerd Much? Following the success of A Quiet Place in theaters, Paramount’s CEO has confirmed that A Quiet Place 2 is on the way. Jim Gianopulos, chairman and CEO of Paramount, confirmed the news during a CinemaCon event. The sequel makes absolute sense financially. A Quiet Place cost the studio a mere $17 million to produce. In less than a month at the box office it has so far earned over $213 million worldwide. The movie was the first project to enter production following Gianopulos’ hiring at the studio. It’s been quite the success. A Quiet Place was written by Bryan Woods and Scott Beck. The film was directed by John Krasinski who also starred in it alongside his wife, Emily Blunt. There’s been no confirmation as to where the story of A Quiet Place 2 will head, or who is attached. Nor do we know when it’s expected to premiere. Krasinski was revered for his directorial effort on the thriller. A large portion of the film contains no dialogue due to creatures within it hunting via sound. The director handled the plot device masterfully, utilizing the lack of speech as an effective tension building mechanism as opposed to a possible hindrance. Krasinski looks to be a key component of Paramount these days. Outside of A Quiet Place, Krasinski is also starring in Amazon’s Jack Ryan series which is co-produced by Paramount Television. The series just received a second season order before Season 1’s August release. The actor/director will also be helming the film Life on Mars for the studio.